A flying car is an aircraft that can also travel along roads. All the working examples have required some manual or automated process of conversion between the two modes of operation. Some of you thinking that why I have discussed this project now. The main reason behind is that it recently revealed car at Holland. A flying car, which can fly for up to 315 miles at speeds of 110 mph, has been produced in Holland. Yes it is possible but not commercially viable till date. Henry Ford tried to build one for everyone but was unsuccessful.But, with today’s technology we can think about it more seriously. Recently, DARPA has awarded 988 Thousand dollars contract to Carnegie Mellon University for the developing the same.Read More. We all know that aircraft is almost like a car before taking of from the runway but it can’t be used as a car because of its wide wingspan , complicated design and costly manufacturing? These bottlenecks has not been sorted out, if we can find ways to solve these problems, we would be able to build one as one company from Holland is trying to do. 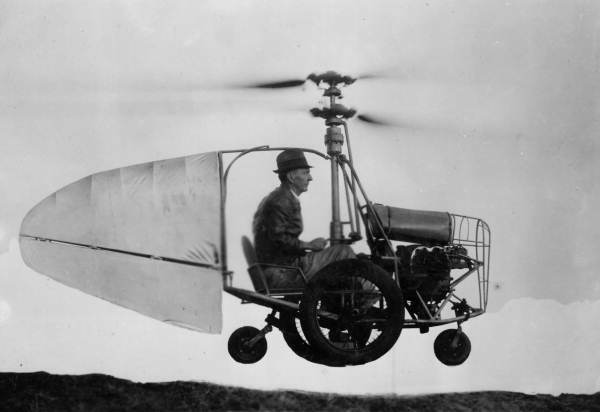 To build flying car you should read about Parajet Skycar now in production, developed by British para-motor manufacturer Parajet.